Robert entered the war in the Balkans on 7th August 1915. 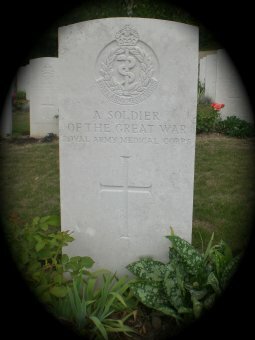 He died onboard a hospital ship and was buried at sea. He is commemorated on the Helles Memorial. He was the son of Amelia Jeffs of Bush Road, Dungannon, Co. Tyrone.